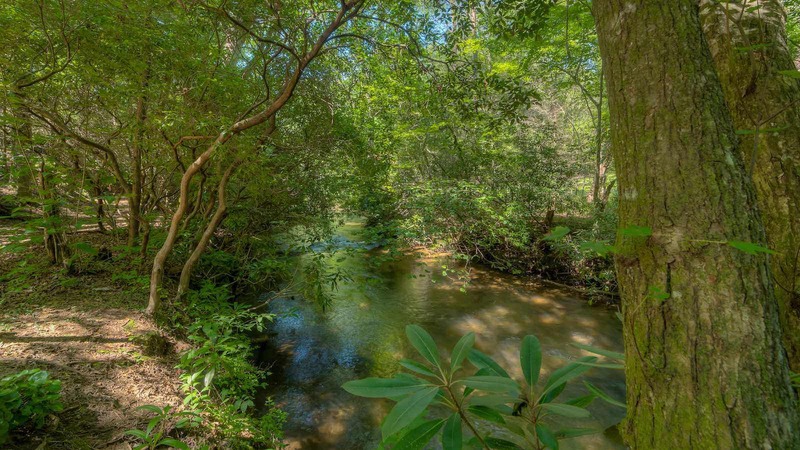 If you are looking for a place to just relax and enjoy the peace and quiet then Creekside Hideaway is just the place for you! 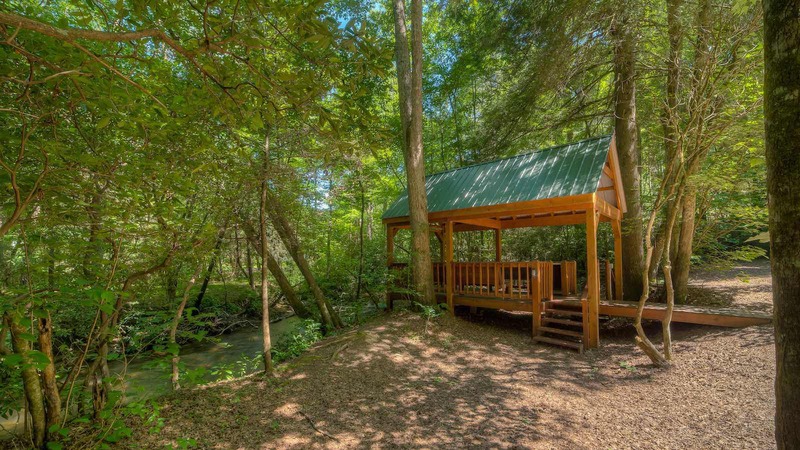 This cozy two-bedroom cabin is located right on the banks of Fightingtown Creek and offers all the rest and relaxation you can handle. 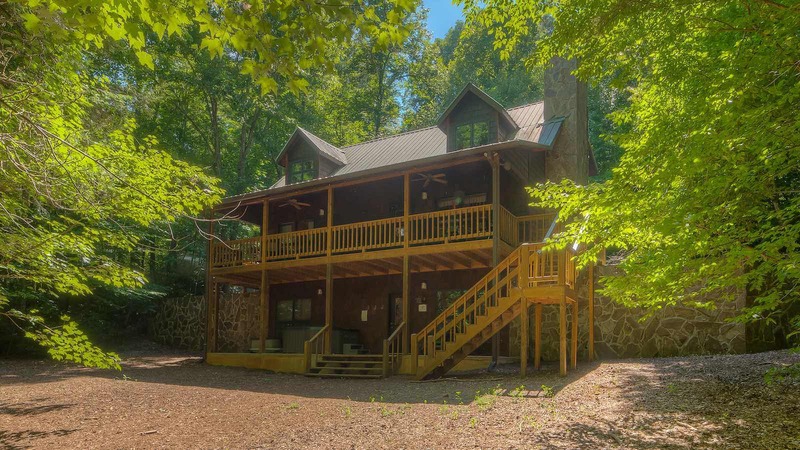 The upper level has one bedroom with a queen bed, one standard bathroom and an open loft with a living area that has a television with DVD player and cable access and a sleeper sofa. The main level features one bedroom with a king bed and television with a DVD player and cable access, one standard bathroom, a fully equipped kitchen and dining area and a living area with leather furniture, a large wood burning fireplace and flat panel television with cable access and DVD/VCR. The lower level has a foosball table, ping pong table and television, making this area perfect for the kids and access leading to the lower patio where the bubbling hot tub awaits you! 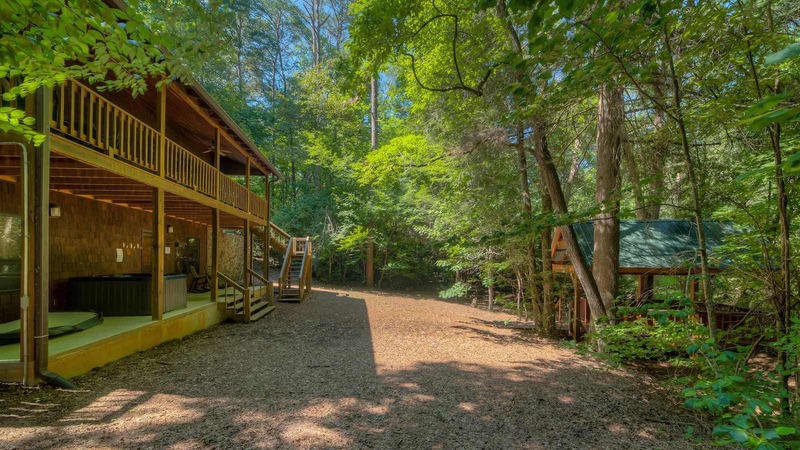 Creekside Hideaway also has a covered porch with a table and chairs, a large charcoal grill and steps leading down to the covered deck that overlooks the cool, running waters of Fightingtown Creek! 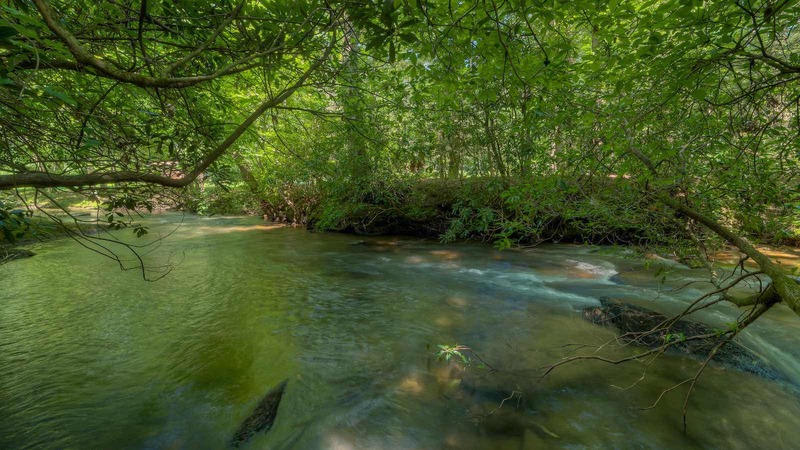 Feel free to bring your rod and reel and try your luck at catching some of the delicious native trout. 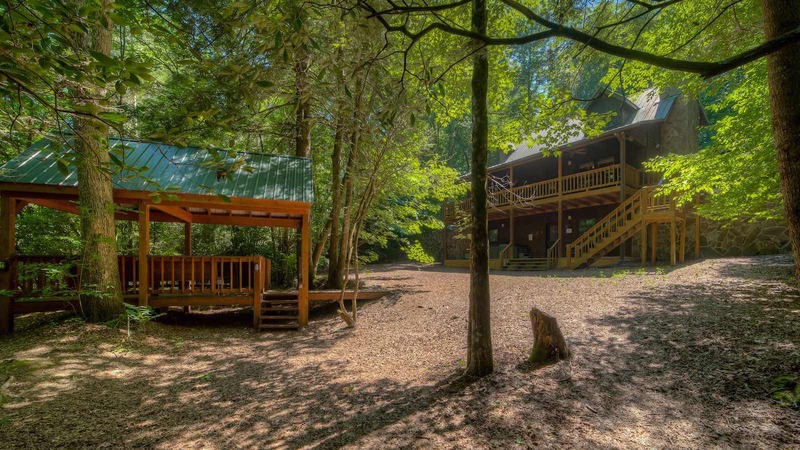 Whether you are a couple wanting a romantic weekend or a family looking for some quality time, Creekside Hideaway is just the place.